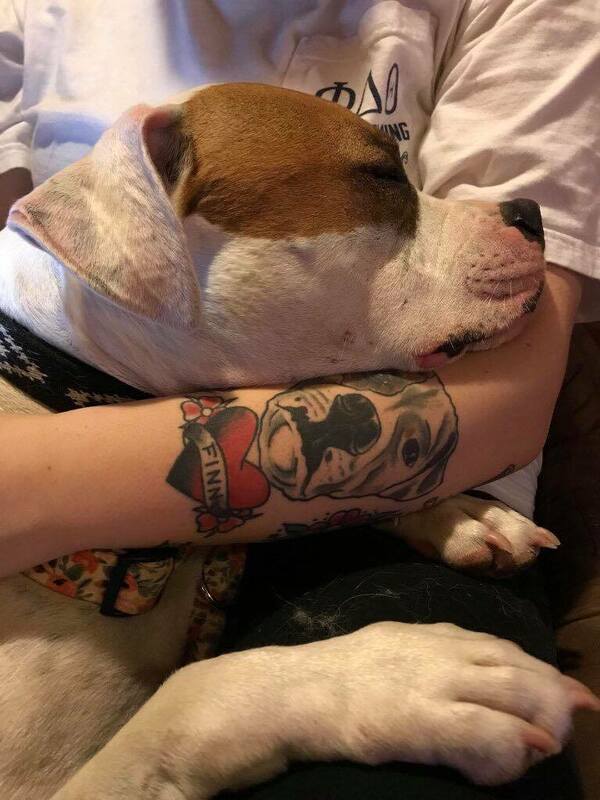 Burgett’s dog, Finn, rests his head beside the tattoo portrait of himself on her arm. Burgett said that being vegan has impacted her life in more ways than people think, especially when it comes to eating with others. The percentage of people in the U.S. who follow a plant-based diet has swelled from 1 percent in 2014 to 6 percent in 2017, according to research performed by GlobalData. Mainstream grocery stores such as Walmart, Kroger and Meijer have begun following in the footsteps of other markets that provide plant-based meal options. The demand for more of these options continues to grow as the number of people participating in this lifestyle becomes larger. According to 8th & Walton, the website for Walmart Supplier Services, the market for plant-based foods in increasing. Of Walmart consumers, 36 percent plant-based or fake meats and 26 percent have stated that they are actively trying to lower their meat and dairy intake. More than half of adults, 58 percent, drink some form of non-dairy milk and milk alternatives, according to speakers at Natural Products Expo East. Rebecca White, a graphic design major at WKU, has been a vegetarian for almost a year and a half. White made the decision to stop eating meat when she had the realization that what she was actually eating was once alive. White visits Rick the rooster on her trip to the Gentle Barn animal sanctuary in Knoxville, TN. White said that the hardest part about being a vegetarian isn’t the transition that she had to make, but the criticism that she received from others. “I feel like they almost take it offensively because they do [eat meat] and I don’t,” she said. White said that the place that she works had a cookout for the employees, and people began asking her questions about why she wasn’t eating. White said that she would like to become vegan eventually, but much like being a vegetarian, it is a process. Burgett also said that becoming a vegan is a process. Dr. Danita Kelley, associate dean of the college of health and human sciences at WKU, has been a registered dietician for over 20 years. Kelley stated that some of the most recent research that she has seen about plant-based diets are on those that include some animal products, such as low-fat dairy, seafood, and less emphasis on red meats. Kelley said that vegans and vegetarians are consuming most of the recommended foods that she discussed such as whole-grains, fruits and vegetables. Kelley said that lowering their intake of red meats also put them at a lower risk of these diseases. Some of the supplements that Kelley said vegans and vegetarians may need to take are calcium, vitamin D and B12. According to the US National Library of Medicine, half of all cardio-metabolic deaths in the U.S. might be prevented through “proper nutrition.” They recommended plant-based diets as an effective strategy for preventing these issues. The National Academy of Sciences of the United States reported that diets rich in red and processed meat have been linked to not only cardiovascular disease, but also different types of cancer. Other studies have also shown that plant-based diets can help prevent the risk of obesity and type 2 diabetes. Although plant-based dieting is the focus of health conversation in 2018, not everyone is buying into it. Jason Munley, a 29-year-old project manager, said that he wouldn’t consider trying a plant-based diet. Munley said that he wouldn’t be opposed to trying something that was labeled as vegan or vegetarian, but would not chose to pursue the lifestyle. Overall meat consumption in the U.S has continued to rise over the past five decades, according to a study done by the USDA in 2017, but the types of meats being consumed has shifted. Rather than eating large amounts of pork and beef, Americans are more likely to eat more poultry. This has been the case since 1990, according to the USDA. While this doesn’t solve the issues that animal protection activists have, it does decrease the environmental impact by limiting greenhouse gas emissions. According to the NRDC, from 2005 to 2014 it is estimated that greenhouse gas emissions fell by 10 percent, while beef consumption declined by 17 percent. Although there are lower risks of health issues and environmental impact when following a plant based diet, many vegetarians and vegans, such as White and Burgett, began these diets to help limit animal cruelty. According to the U.S Humane Society, there aren’t laws protecting the safety and care of farm animals in the state of Kentucky, excluding some protections for horses. Kentucky doesn’t have a law that requires the humane slaughter of farm animals or protections for sick and injured animals that cannot walk. Kentucky also doesn’t prohibit gestation cates for pigs, force feeding poultry, or even the tail docking of dairy cows. According to the U.S Humane society, California is the only state in the U.S that practices all laws protecting farm animals. Many other states such as Arizona, Maryland and Florida have passed laws requiring the humane slaughter of animals and protections for sick and injured animals. The U.S Humane society ranks Kentucky as a 19 out of 65 on a scale measuring how humane its farm regulations are. Although California has the most laws and regulations, it only has a score of 45 out of 65, which is the highest of all states. 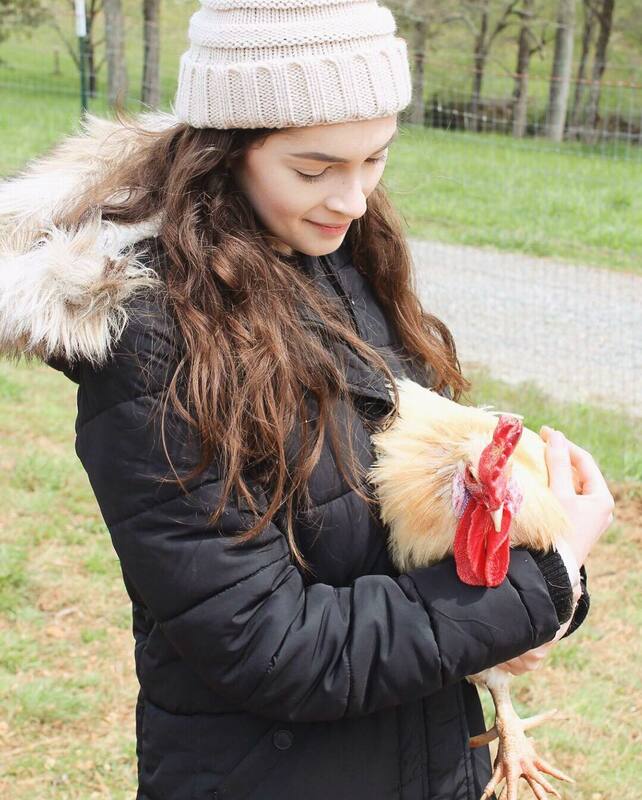 Organizations such as Mercy for Animals, the Humane Society of the United States and Farm Animal Rights Movement actively take a stance against the animal cruelty that is seen in factory farming. These organizations also encourage a plant-based lifestyle.